Santa Rosa Valley Trails Inc. 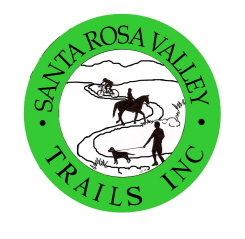 In November of 2006, Santa Rosa Valley Trails Inc. was determined by the IRS to be a 501(c) (3) charitable organization. Your donations are tax deductible as allowed by law. We have no employees. All our board members are volunteers and 100% of your donations goes to the work of the charity.